Lahti is home to pioneering combined composting and biogas production. 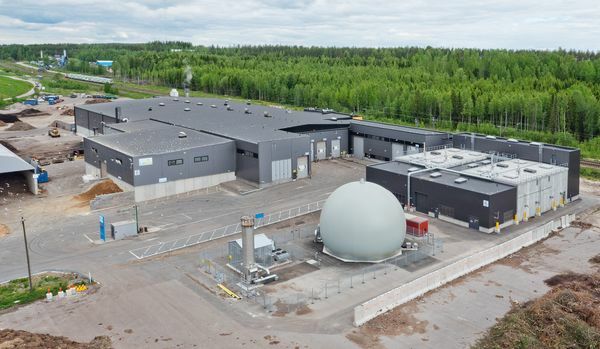 Finland’s largest biogas production and refining plant, owned by LABIO Oy, is situated at Kujala Waste Treatment Centre, producing environmentally friendly biogas for traffic use. Every year 60,000–120,000 tonnes of household and industrial biowaste and sewage sludge is turned into raw gas. Finnish gas sector expert Gasum has a biogas production and upgrading facility nearby, where LABIO’s raw gas is turned into to pure biogas. The biogas is then delivered for traffic use through natural gas pipes. LABIO’s soil processing plants, on the other hand, turn composting materials into raw soil materials and fertilisers. This allows the nutrients stored in biowaste and sludge to be put back into circulation. Heat is recovered from the composting process and re-utilised in the refining plant. Raed also related articles: Smart Wastewater Treatment.